Lance Berkman, who played last season for the Texas Rangers, has decided to retire. "It doesn’t make sense to play in the physical condition I’m in," Berkman told MLB.com. 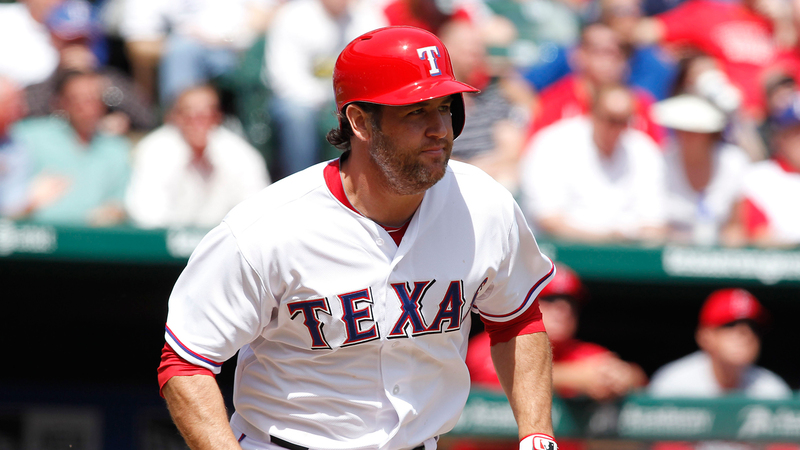 Berkman signed a one-year deal with the Rangers last offseason for $11 million. The deal also included a club option for 2014 that had a $1 million buyout. Berkman’s one season with the Rangers was a struggle. He was limited to 73 games because of knee and hip problems and hit just .242 with six home runs and 34 RBI. The six-time All-Star played in just 105 games over the last two seasons because of injuries. Despite the limited action over the last two years, the 37-year-old finished his career with 366 home runs, 1,234 RBI and a .293 batting average. Berkman also won a World Series in 2011 with St. Louis. He finished seventh in the National League most valuable player voting that year. The Texas native spent 12 years with Houston before getting traded to the New York Yankees during the 2012 season. He signed with St. Louis before the 2011 campaign. Berkman contemplated retiring during the 2013 season. He played in just nine games over the final three months of the season.